Matt Ward, is the founder of Breakthrough Champion. He helps companies get more referrals and eliminate procrastination within the business. 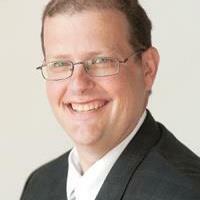 Matt is the author of the book Making Your Website Effective. His company has been awarded a Top 10 Web Firm 6 years in a row. He was the member of the 2013 Forty Under 40 Class and he was honored as the 2015 Small Business Owner of the Year. Matt helps companies get more referrals. He does this by sharing information associated with the consistent nature of doing repetitive things, in conjunction with caring. Part of this process focuses on taking action and eliminating procrastination from our lives. Founder of inConcert Web Solutions. Growing up he never thought he would be an entrepreneur. Over time has been very fascinated with education. Learned to ask other business owners how they got to where they are. Ask a lot of questions when you can. Employees often think that they are not as responsible for the business they work for. Learn to set a process in place to move into business ownership. Be able to go on a vacation and make more money than when in the office. It is easy to train the employees but harder to train yourself to let go. He helps people get more freedom in their business (however that may look). It all comes down to being able to trust your employees and having them think like a business owner. Create surprise moments, events, and actions that the recipient is not expecting. Do research and find gifts that are personalized for your clients. Write a handwritten letter to someone you have had a conversation with. Share books that you really enjoy. Share with us how you believe your mindset affects your life? It’s huge. Positivity is key to a good mindset. Share the number one connection that has made the biggest impact on your life? Erik Wahl, speaker and speed performance artist on stage. What advice has Influenced you the most in your life? Excuses are tools of incompetence used to build monuments of nothingness. Those who use them seldom amount to anything. Also, from his high school football coach: “Flatback, shot out of a cannon.” Basically, go out there and get after it. Define in one sentence or less, what legacy you want to leave on the world? To give without the expectation of getting anything in return and to over deliver all day long. Also to get laser focused.